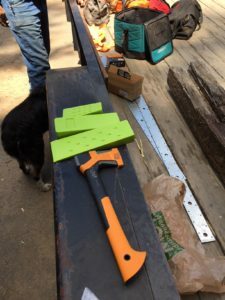 During the summer months of 2018 members of the Sierra Freepackers used $1000 funds provided by a BCHA Education Grant for our ongoing project on the Spring Cove and Goat Mountain Trails. 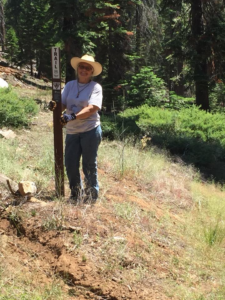 We maintain these two trails through our volunteer service agreement with the Sierra National Forest/Bass Lake Ranger District. The two trails are in a part of the forest devastated by the drought and bug kill here in California. 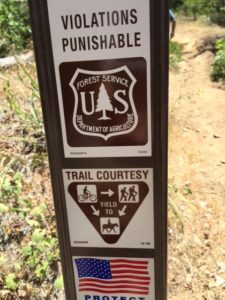 Our goal was to enhance safety and usability of this multi-use trail system. There are narrow single tracks with diminished visibility. 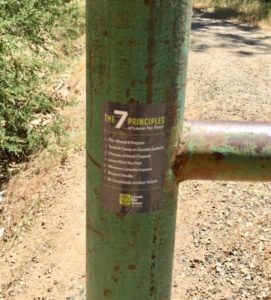 We worked to avoid conflicts and accidents between hikers, equestrians and mountain bikers. This area is a busy recreational area in the community of Bass Lake, CA. Since September 2017 our unit has removed over 140 downed drought and beetle stricken trees on these two trails alone. We now have 7 Forest Service Certified sawyers to continue our work in this area. According to the Forest Service we can expect trees to continue to fall for another 5 years. 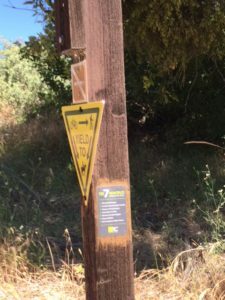 Besides continuing work on the trails through our agreement with the Bass Lake Ranger District we are partnering with the Yosemite South Gate Trail Collaborative (a local mountain bicycle group) to install a bell and bell box system to further enhance shared trail safety. They also have done trail work and sign installation along the trails. 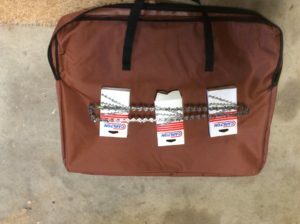 Chain Saw chains-various sizes were purchased and assigned to the sawyers in the group.